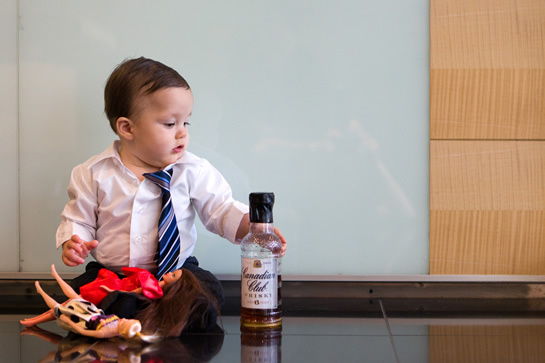 For Halloween, 8-month-old Holden channels everyone’s favorite 1960s ad exec — Don Draper. We made the Canadian Club booze out of a bottle of iced tea, and his “women” came from the dollar store. 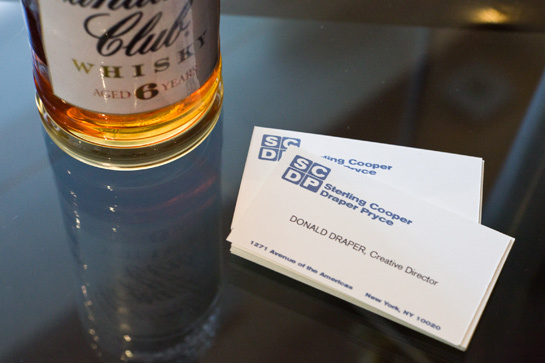 Tiny Don handed out the business cards while trick-or-treating! I was fortunate enough to have my friend Alicia pass along photos of Holden’s costume to Vincent Kartheiser (Peter Campbell! ), via her brother who was interviewing him. From what we hear, Vincent liked the costume.